YourWelcome creates a meaningful connection between operators and guests during their stay. Display your brand and surface your property portfolio whilst the guest is in residence and increase your direct bookings. Turn your guests into advocates by promoting your referral property to guests during their stay. 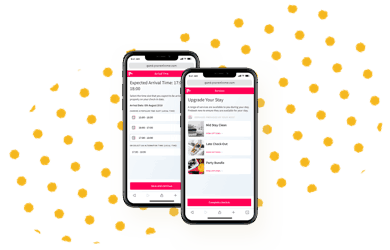 Incentivise guests to sign up to newsletters and mailing lists during their stay by offering additional value during their stay (local offers). Ensure all guests contact information is captured to rapidly grow your guest CRM. Want to own your customer by increasing direct booking to bypass OTA fees? YourWelcome suite of products are designed to help operators to take back control of their customers by increasing brand exposure to the guest during their stay to increase chances of future direct bookings. OTAs dominant the booking and pre-arrival process but operators have the chance to directly market to guests whilst they are in-property. 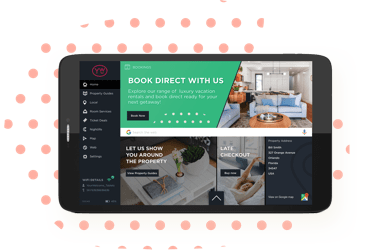 The YourWelcome tablet offers the ability to promote the benefits of booking direct, view portfolio properties and join mailing lists. YourWelcome empowers operators to add a service layer to their rental business. 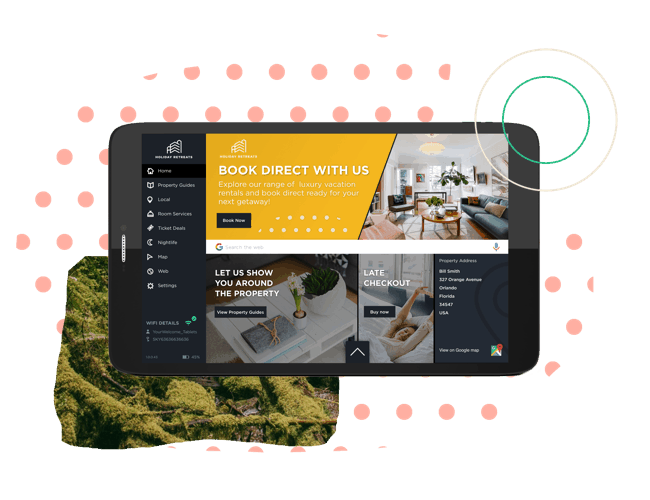 Our Tablets & Advance products act as transactional portals enabling operators to effectively sell direct to their guests pre arrival and during their stay. YourWelcome helps differentiate your company with guests by increasing brand presence within the property. Drive guests to your website to view other properties in your portfolio and generate newsletter sign ups without spamming your guests inbox.